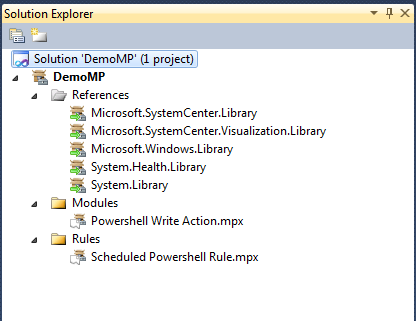 Started using Visual Studio Authoring Extensions recently for all MP authoring, and leaving the Authoring Console behind since it is no longer supported. I still can’t get used to the templates that are included with VSAE, so I like to create empty management pack fragments. I do this in order to create a library of fragments that I can easily add to management packs in the future. 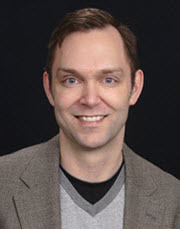 In this example, I will demonstrate how to start a fragment library by adding a powershell write action that will be used in a scheduled powershell rule. 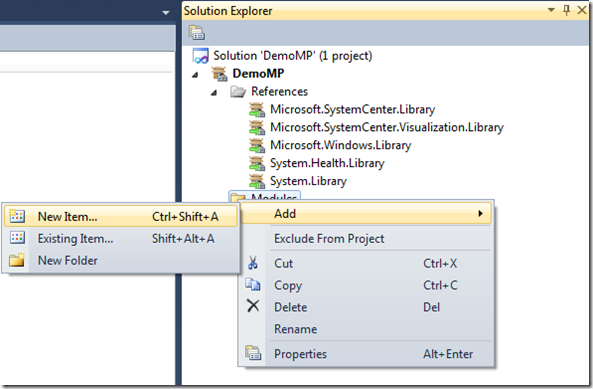 Create a new Operations Manager 2012 add-on project and add a couple folders to the solution: modules and rules. Then create a new item in the modules folder. Add a new empty management pack fragment. Give it a logical name, like Powershell Write Action, and enter code similar to the following. Of course, add you script in the script body section. This is an example that will pass in two parameters to the script. Now add another new empty management pack fragment to the rules folder, and enter code similar to the following. 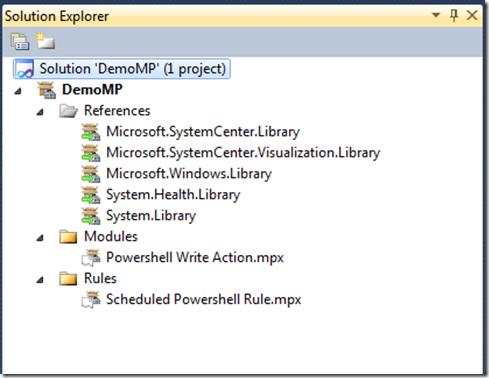 This rule uses a scheduler as a data source and your new powershell write action module. Remember to fill in the script paramter elements after the script body – this is how the parameter are actually passed into the script. 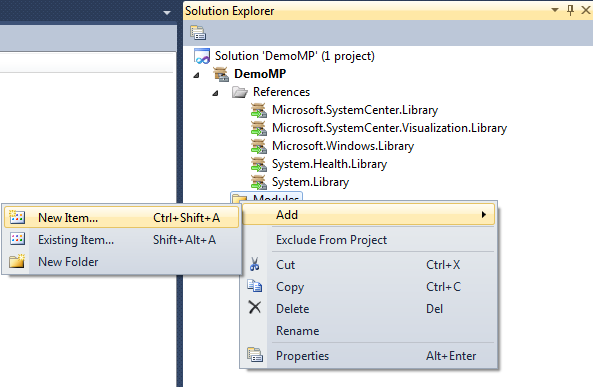 If you continue saving new fragments to this library project, you can easily add these to your management pack projects in the future by adding an existing item and navigating to your library project. This is your starter fragment library.